This American Metalcraft FLRB8 Endurance 33.1 oz. 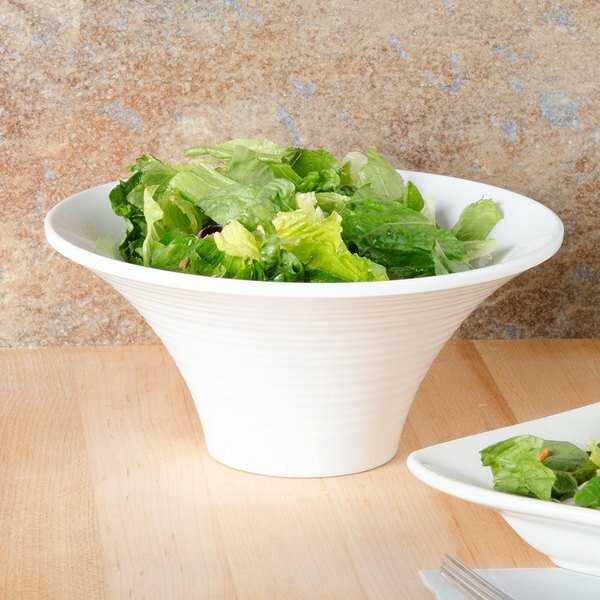 round melamine serving bowl's textured sides and dramatic flared design give it an eye catching look that's perfect for serving salads, rolls and more! 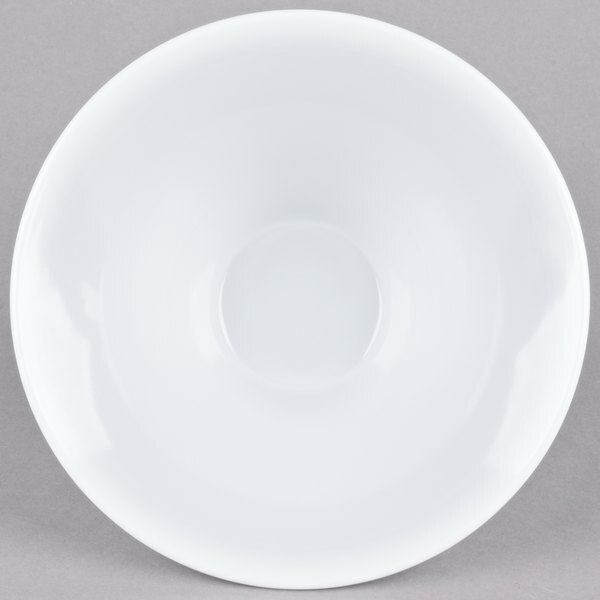 Looks like real china but it's melamine! 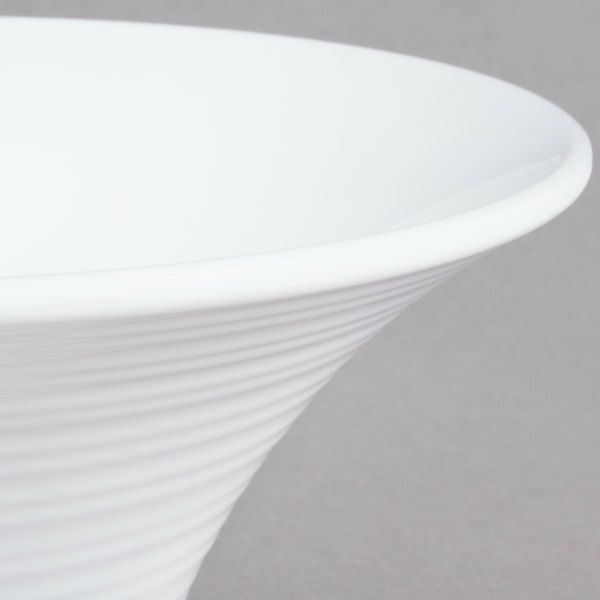 The swirl design is beautiful and the flare at the top adds to the elegance while maintaining its functionality. 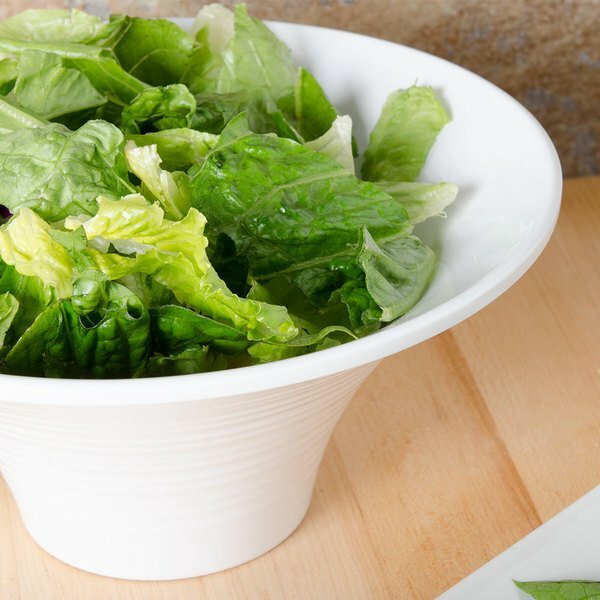 Great for salad luncheons or an additional serving bowl. 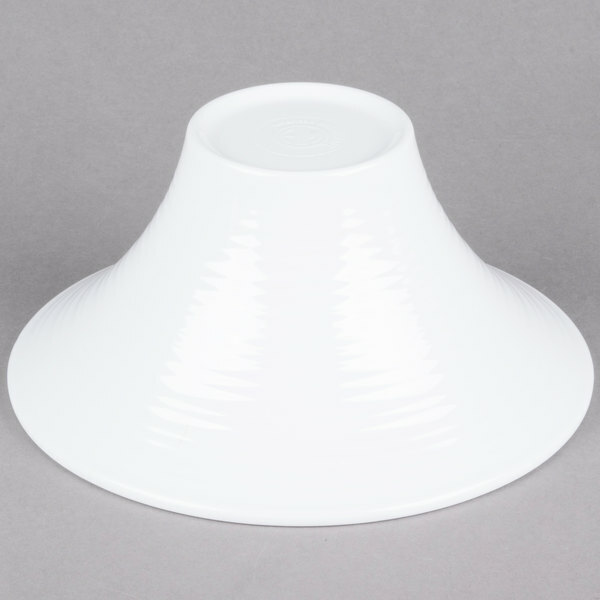 We call these "lamp shade" bowls. 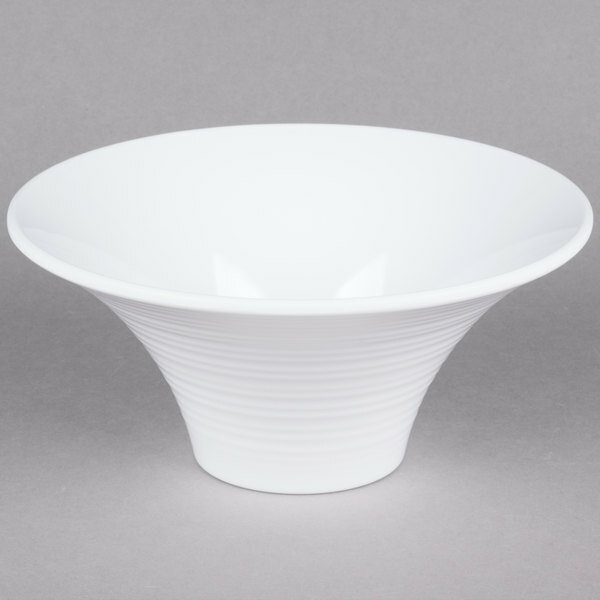 They are made of high quality melamine and are durable and look close to porcelain. They stack easily and are very durable. Love using these in our catering operations for offsite parties and events. Cleans well and doesnt scratch or chip like other comparable products out there. 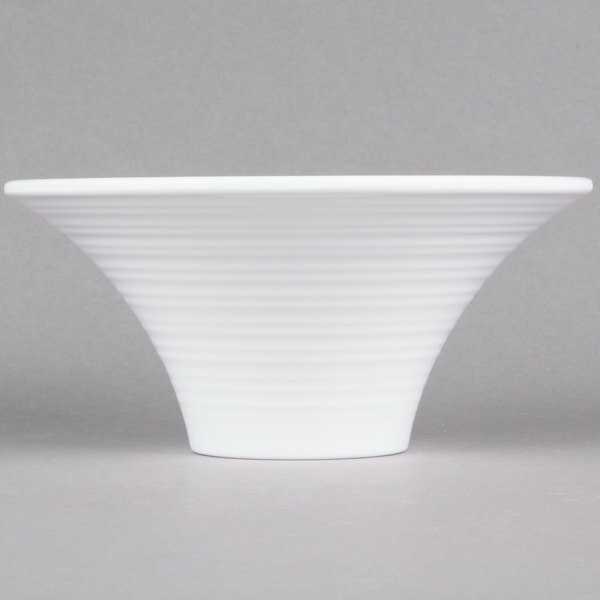 This is a cute little bowl. It looks really nice sitting beside a hot or salad bar. I use them to serve individual butters, jellies, etc. They have held up well so far.